A messenger bag (also known as a courier bag) is a type of sack that is worn over one shoulder. A strap goes over the chest, resting the bag on the lower back. The design has been used in the transportation of mail and goods for centuries, however they burst into mainstream popularity around the 1950s. Similar in function to backpacks, messenger bags ensure comfort to people carrying heavy or bulky items, while allowing for easy access to contents. A popular style with office workers and the like, they not only offer wearers comfort, but work to promote businesses to passer bys. 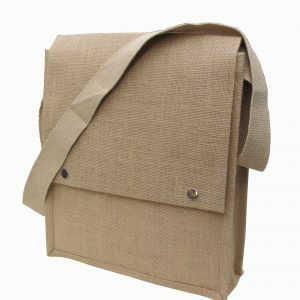 Why choose Albury Enviro Bags for your messenger bags? 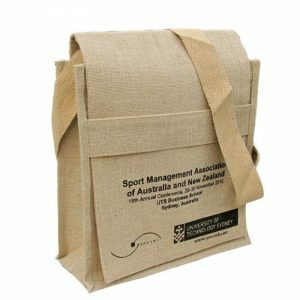 Albury Enviro Bags is a young Australian business committed to pursuing excellence in everything we do. Our strong growth can be credited to our core values, which relate to honesty and integrity in all our business activities. We ensure competitiveness, quality, excellent service, ethical standards, and a commitment to sourcing natural fibres and eco products. We have aligned ourselves with only the finest of partners, and our extensive sourcing capabilities elevate us above our competitors. 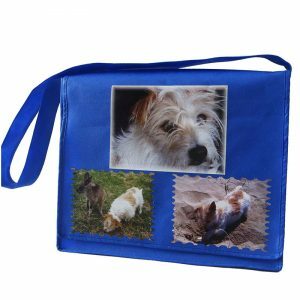 Albury Enviro Bags supply an extensive range of messenger bags, each of which can accept screen printing or heat transfer printing. 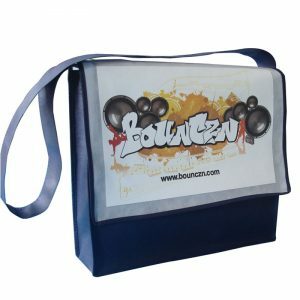 All of our bags can be customised to best suit your requirements, with flexible options available in regards to print and design, handles and straps, fabric and fabric weights, colours, lining and laminations, barcode and sewing labels, baseboards, pocket and business card holders and closing options. Our full colour shoulder bags are a visual masterpiece, our heat transfer school bags come with near endless design options, and our natural hiracle stitched shoulder bag is a winner with environmentally friendly organisations. With Albury, you can’t go wrong. Not sure what’s right for you? Just ask! Ordering with Albury Enviro Bags is as easy as enquiring online, or giving us a call on 02 9534 6283. Simply let us know your budget, explain what you want from your bag, and tell us a little bit about your desired audience, and we can find the exact bag to best suit your needs. We welcome any enquiries, and encourage you to get creative.